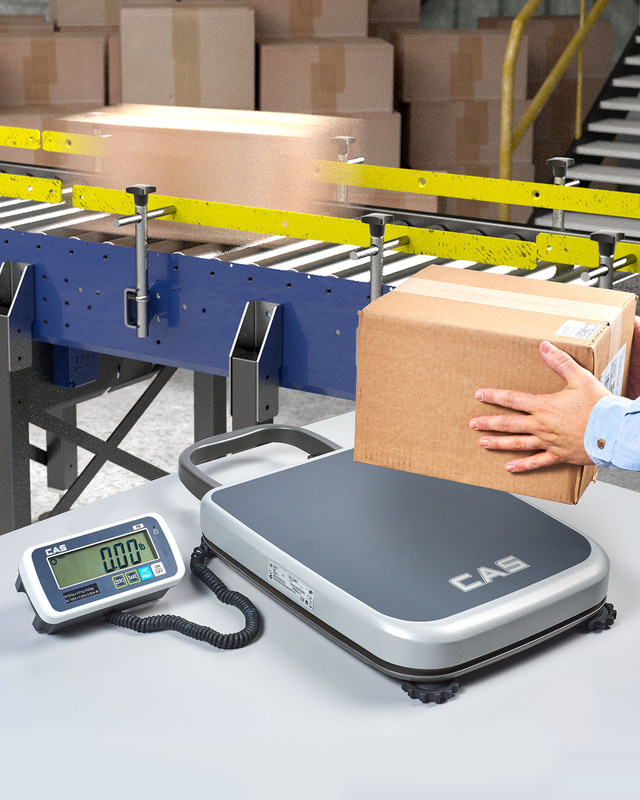 A fully portable bench scale that is legal-for-trade, NTEP approved, and RS232 compatible for connecting to networked devices and receipt printers has been introduced by Alliance Scale, Inc. of Canton, Massachusetts. The Alliance/CAS PB Series Portable Bench Scale weighs only 14.5 lbs. and is equipped with a carrying handle and removable display to move and solve overflow weighing requirements outside of the shipping department. Offered in 150-, 300-, and 500 lbs. capacities with 1/3000 external resolution, this portable scale is legal-for-trade, NTEP approved, and RS232 compatible. Powered by Alkaline or rechargeable batteries, the Alliance/CAS PB Series Portable Bench Scale provides up to 300 hrs. continuous operation using Alkaline batteries or 60 hrs. rechargeable. Featuring a large 6-digit LCD display which is detachable for easy viewing, it is offered with an optional wall-mount bracket and receipt printer. The Alliance/CAS PB Series Portable Bench Scale is priced from $310.00. Literature is available upon request.